An intricate network of peaks and sea-drowned valleys make the Marlborough Sounds a playground for the Gods and nature-lovers. 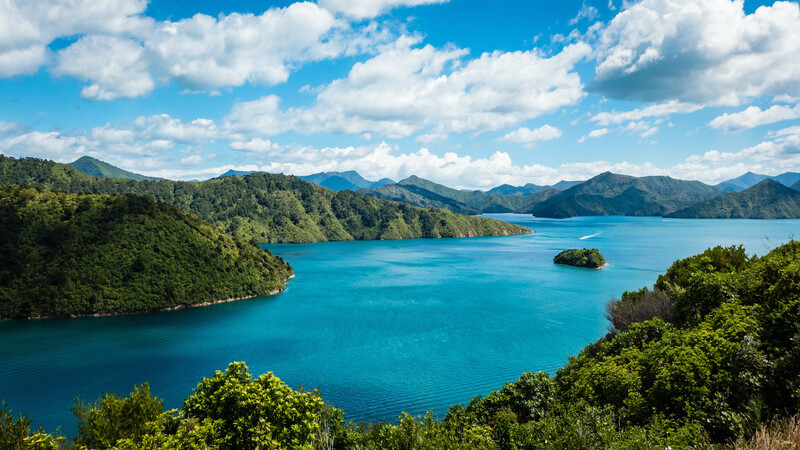 Located on the Northern tip of New Zealand’s South Island, the Marlborough Sounds is a remote pristine maritime oasis unmarred by tourist development. 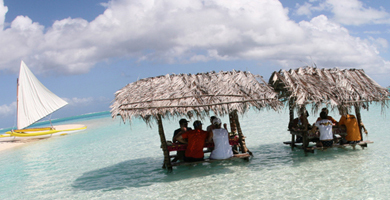 In fact, it’s one of New Zealand’s best kept secrets and where the locals go to vacation. This intricate labyrinth of waterways consists of four Sounds–the Queen Charlotte Sound, the Kenepuru Sound, the Pelorus Sound and the Mahau Sound set in a mountainous landscape. Maori legend tells of Kupe’s struggle with a giant octopus, and how he grabbed onto the South Island for support, carving out the inlets with his fingers. (Kupe was the first Polynesian to discover the islands of New Zealand, while hunting down a troublesome giant octopus.) Another local legend describes the entire South Island as Maui’s waka (canoe), wrecked on a reef during a fishing expedition, and how the shattered bow of the canoe became the splintered Sounds. Surrounding this watery maze is a vast native forest ranging from towering 800 year-old Rimu trees, lush Punga tree ferns and beautiful native orchids, all along the famous Queen Charlotte Track and cascading down to the waters edge. The myriad bays, coves and bights are perfect for exploring by boat, as evidenced by Captain Cook who first landed the Endeavor in New Zealand in 1770, anchoring in a ‘very snug cove’ – today known as Ship Cove – which would become the base for his Pacific exploration. To hoist the Union Jack, Cook climbed high and looked out for the first time on the gusty waters, which to this day bear his name: Cook Strait. He promptly claimed the South Island for King George Ill and named the Queen Charlotte Sound in honor of Her Majesty. The next century saw the area develop into a significant whaling and European farming community. Today, seafaring pursuits continue to abound with endless sailing, fishing, sea kayaking, and diving opportunities for visitors to observe fish, seals, dolphins, birds, and flora along the beautiful coastline. Naturalists will delight in the activities, which allow man to interact with the elements in a quiet and remote setting far from the madding crowd–a landmark of purity and majesty. The main channels of the Marlborough Sounds have calm water, however, the notorious Cook Strait is infamous for its strong currents and rough waters, especially when the wind is coming from the south or north. The weather can change quickly and dramatically so visitors should be prepared for anything. Surprisingly, you don’t need a license to sail or drive a boat here, but it’s worth hiring someone who knows the waters well as they can be treacherous. For those who prefer to plant their feet on land, there are some excellent spots to pull up anchor and bed down for a night, a week or a month. In the land of the long white cloud, it’s easy to lose track of time and there is plenty of good shelter. 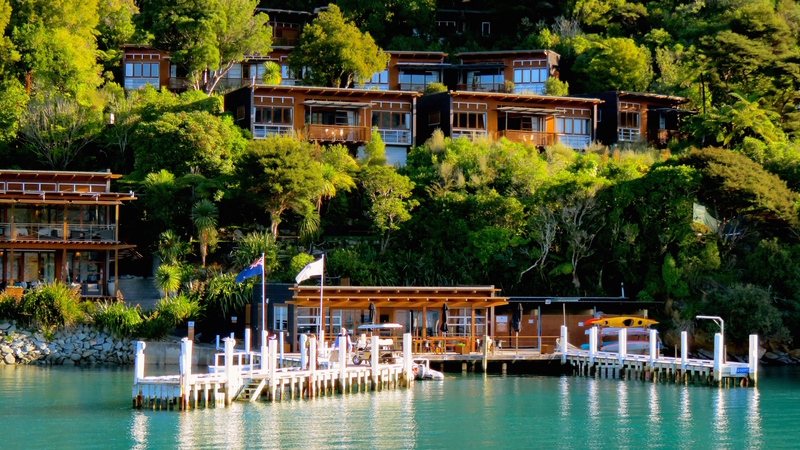 Nestled in the calm waters of Queen Charlotte Sound, Double Cove Retreat provides luxury accommodation for up to 12 guests and allows you to live like a local in the privacy of your own home. Ideally suited for several couples, family getaways, team building retreats, or intimate weddings with fully landscaped grounds and first class facilities. Access is by boat only or direct to a private helipad. 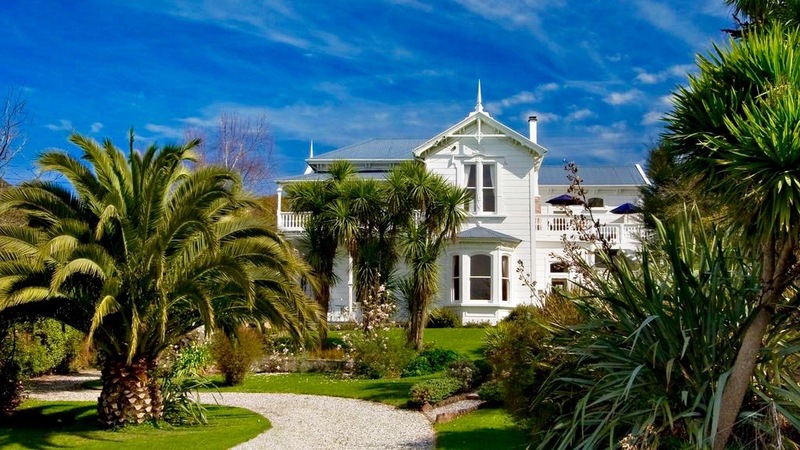 The lodge is 10 minutes by boat from Picton and 25 minutes by helicopter from Wellington. A local outfit that can arrange hiking, kayaking and biking adventures. Stretching between the Queen Charlotte and Keneperu Sound is the Queen Charlotte Track: a 71km track renowned for its stunning views and contrasting landscape, historical landmarks and wonderful variety of native bush and wildlife, ideal for both walkers and bikers. Run by a local Maori family, guests can experience a personalized tour of the area aboard a 75 year-old Kauri planked classic launch called “Tutanekai”, and learn about Maori culture, history and the Maori world view regarding the environment. Their kaupapa is to keep the lost art of storytelling alive–the old people say that stories stimulate dreams and if we lose the ability to dream our spirits will die, so don’t miss out on this unique opportunity to interact with the local Maori culture. To learn more about local Maori culture, click here. For a more challenging experience in the Sounds, Outward Bound is based at the western end of the Queen Charlotte Track at Anakiwa. It offers courses designed to inspire personal and social development through value based experience learning in an outdoor environment. Its sailing boats known as ‘Cutters’ can often be seen sailing within the waters of the Queen Charlotte Sound. Air New Zealand and Virgin Pacific Blue offer regular flights to Wellington, where you can take the Interislander Ferry (NZ$58-73 return) to Picton or fly Sounds Air direct to Bleinhem or Picton. Sounds Air is a locally owned and operated airline based at Picton Airport, and links the North and South Islands between Wellington, Picton, Blenheim and Nelson. 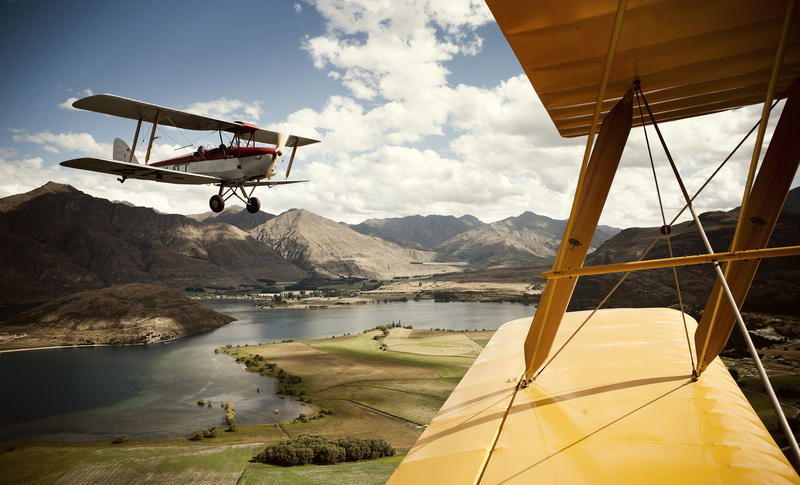 Prices start at NZ$79 one-way. This is a great overview of sailing in the Marlborough Sounds. 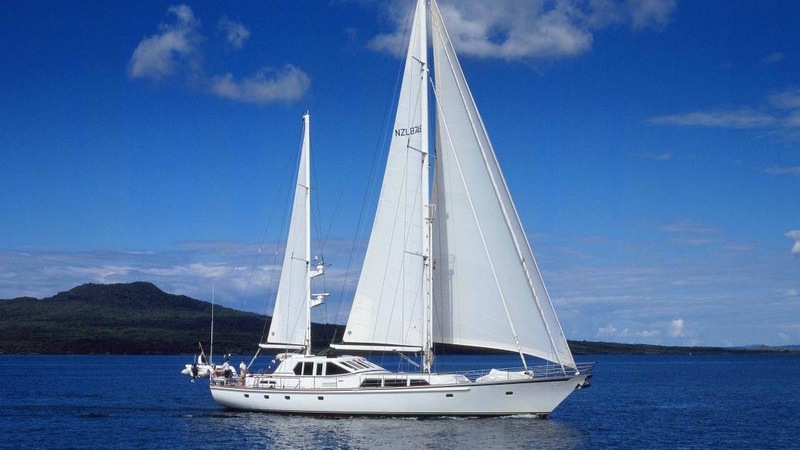 The Queen Charlotte is the best sound for Sailing, but I would recommend Waterways Boating Safaris (http://waterways.co.nz) as the best way to explore the Pelorus Sound.